Melbourne is rich in multiculturalism and ethnic diversity and that is undoubtedly a strength of the world's "most liveable city". 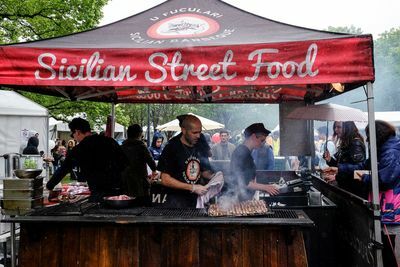 There are many ways to embrace Melbourne's blended city, the best way is to attend one of the many festivals celebrating individual cultures. There are community-wide events like Moomba, Cultural Diversity Week and NAIDOC Week, however, individual celebrations that share cultural dance, music and food are great ways to really embrace the rich diversity of our city. Such festivals are most often free and very much family-friendly. Brenda, the Editor Our Family Travels took her family along to the Carlton Italian Festa last weekend and had the best time! 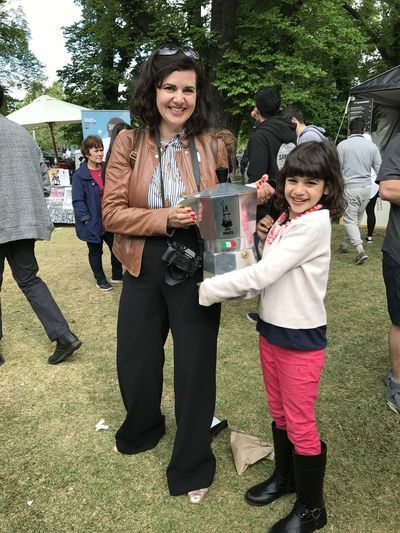 Brenda, Our Family Travels with her much loved Bialetti coffee pot! The aroma of familiar foods, the sound of grinding coffee, the vivid green white and red colours splashed about and the much admired classic Fiat cars lining the streets. It all lead to one event. The Carlton Italian Festa. 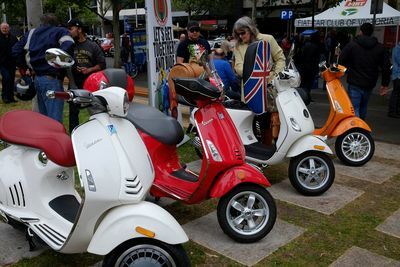 Celebrating all things Italian this Festa is held in the pride of Little Italy, Piazza Italia in Lygon Street, Carlton. On Sunday we joined in with many others, of all nationalities to immerse ourselves in a culture that is so rich to Australia’s migrant history. So many Italians have called this place home for decades and in turn what they have given this country cannot be denied. Good coffee, authentic pizza, the love of pastries like bomboloni and canolli, not to mention charcuterie, pasta, olive oil a good roasted chestnut! Our culinary diversity here in Australia has been widened and appreciated by many because of this authentic Italian influence. However, it’s more than just the food alone. The Italian culture is about connecting and family is at the heart. Our time on Sunday was a pure family fun day out. Hopeful that it wasn’t going to marred by rain, I think the slight drizzle didn’t deter anyone. My husband and I had a laugh at the entertainment, the children enjoyed the free kids corner with jumping castle, painting and a mini football drills section. Of course, there was plenty of food to choose from like a pizza from Gradi, homemade gnocchi and sweets to make you swoon. We even found the perfect Bialetti coffee pot that will assist with my much needed love of having a good caffeine fix first thing in the morning. The Italians don’t take themselves too seriously either. We laughed so much we cried at the entertainment including Joe Avati, and the the Vivia Italia Show. Our favourite part of the day was certainly dancing the tarantella and sneaking back in the evening when the DJ was still cranking out the tunes. As a family with an extensive Italian heritage, celebrating these cultural days is important. For years in my teenage life I was living in small town that really made me feel ashamed of my culture and my nationality. 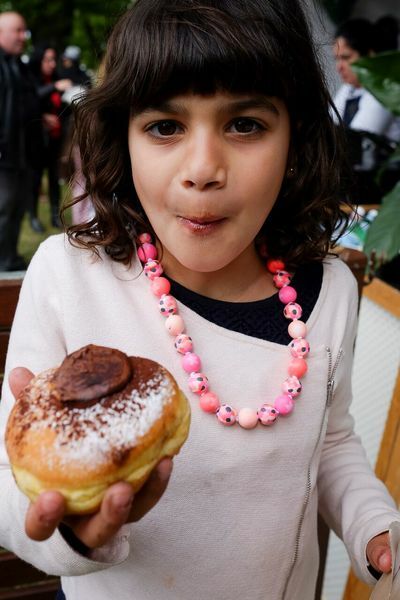 I felt I had to repress this part of who I am, but with events like the Carlton Italian Festa there is only joy in celebrating all things Italian. Thank you so much for sharing your story with us Brenda. To find out when the next multicultural event is happening in Melbourne, check out this article. You might also like to see what's happening at the Immigration Museum too.